Lost pet alerts are the most proactive way to notify a virtual community of pet lovers in your area to be on the lookout for your lost or stolen pet. 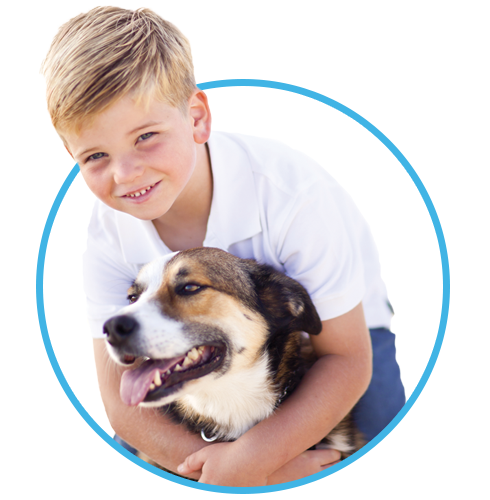 This service complements your pet’s microchip enrollment by broadcasting your lost pet’s information to animal shelters, veterinarians and pet lovers in your immediate area that are interested in helping with your pet’s safe return home. You notice your pet has gone missing. Be sure to contact AKC Reunite immediately! With our LOST PET ALERT system, we broadcast your pet's information to participating shelters, veterinarians and pet lovers in your area. Someone finds your pet and takes action to help your pet get back home. AKC Reunite is contacted. We reach out to you via email, text and/or phone to reunite you and your pet. If we can't reach you, we will call your alternate contacts. 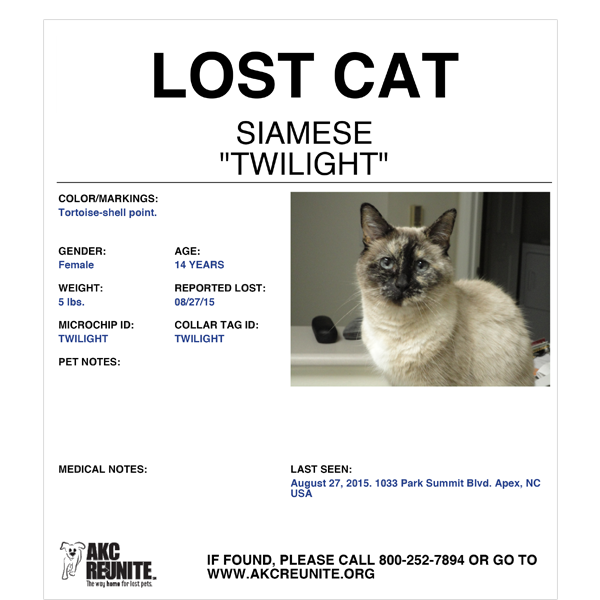 Our Lost Pet Alert also gives you unlimited access to an online Lost Pet Alert Poster Application to automatically create a custom lost pet poster with your pet’s important information. If you have any questions about enrollment with AKC Reunite or our products and services, please see helpful links below or send us your question. You can also contact us at 800-252-7894 24/7/365.